Dobrava cemetery in Maribor expects important visit from Croatia. 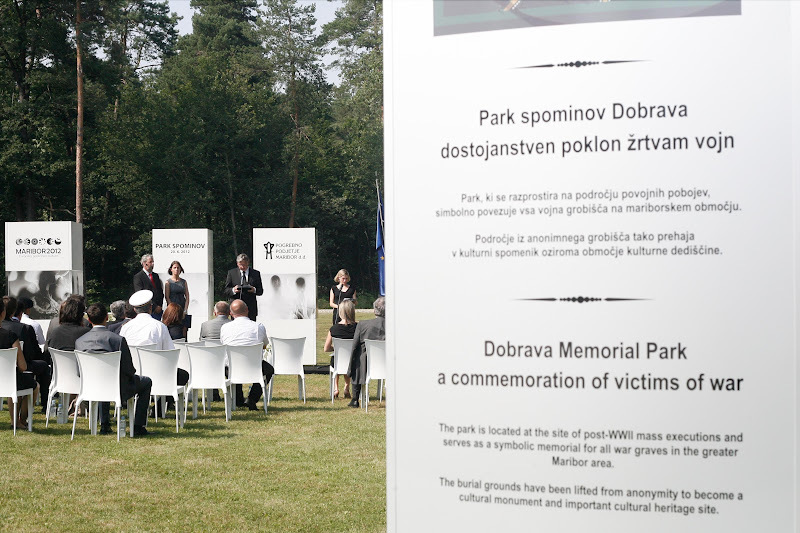 On May 15th, top Croatian representatives will visit Dobrava cemetery in Maribor in order to pay respect to the victims of mass kills after world war 2. Again cemetery of Dobrava is exposing it's important role in preserving and remembering of historical events that took place in Europe. 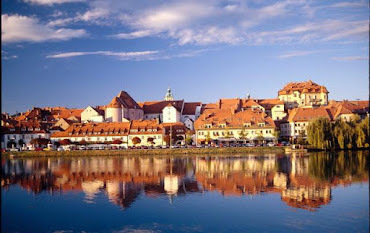 The memorial park opened with a ceremony in 2012 when president of Slovenia was the guest of honor. The history of the Dobrava cemetery goes back to 1985 (the first funeral at Dobrava was carried out on 19th June 1985). This cemetery is composed of departments separated according to the types of graves: single and family; graves in series; urnal; Muslim; and a department for anonymous burials. The Dobrava cemetery was at first constructed as a green grassy surface with small demarcations of remembrance. The Decree about the cemetery order was also prepared in accordance with this. Because the planned composition was, nevertheless, standing out too much of the idea of Slovene cemetery at the time (t.i. with graves where flowers can be planted, graves with decorative sand, bark, or covered with a stone slab), in time it became possible to cover the graves holding urns with a marble or granite slab, and single and family graves may have flowers planted in the width of 30 cm. Despite the partial landscape architectural shift from the original idea, the characteristic of the Dobrava cemetery is still grass graves and with cypresses separated grave fields. In May 1945 the Yugoslav armed forces killed from 15.000 to 20.000 soldiers of former Independent State of Croatia (NDH) and refugees, mostly of Croatian nationality, who were caught when trying to escape to Austria. They were buried into the three and a half kilometres long anti-tank ditch which was dug out through the Tezno forest between the Drava River and the Celje – Maribor road. During the highway construction in April 1999 the remains of 1179 victims were exhumed in the part (70 metres) of former anti-tank ditch; in July 1999 they were put into the ossuary on the new Maribor cemetery in Dobrava.